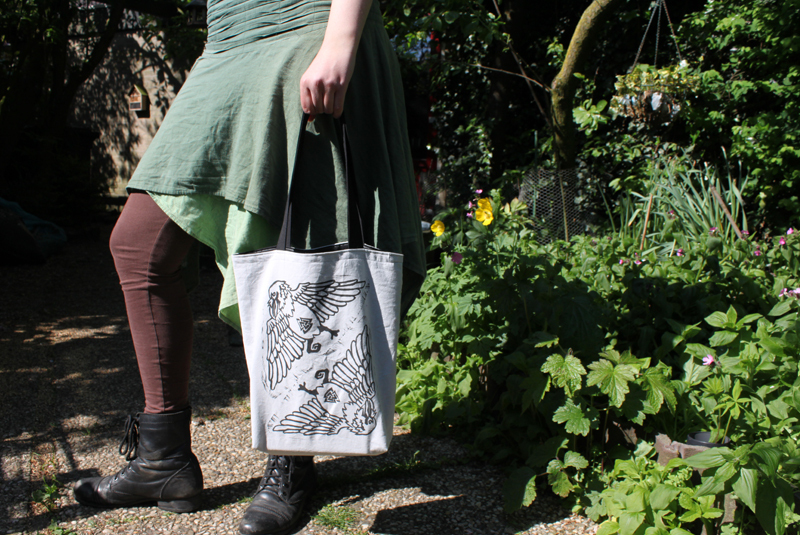 This hand printed Huginn and Muninn Tote Bag and other tote bags are available at my Etsy Store. The bag was completely sewn at the Stag's Head Studio. 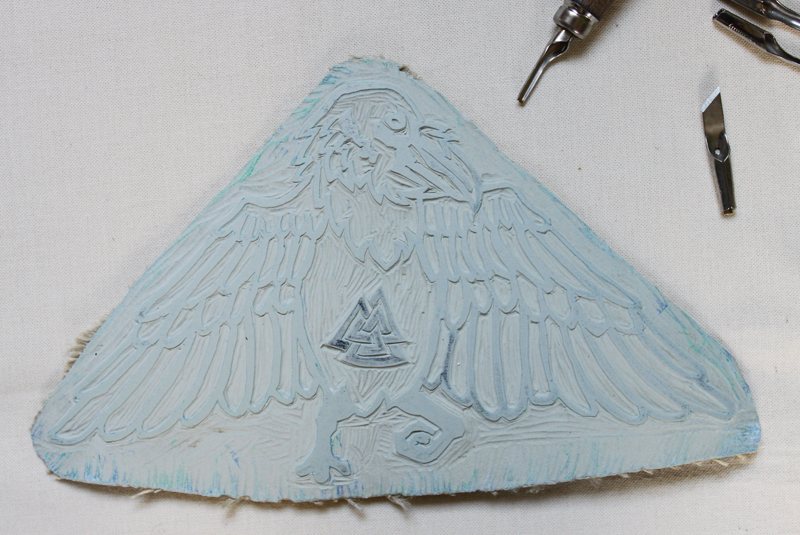 It was then hand printed with a hand carved raven stamp on my etching press, see the last photo. The bag has print on both the front and the back. 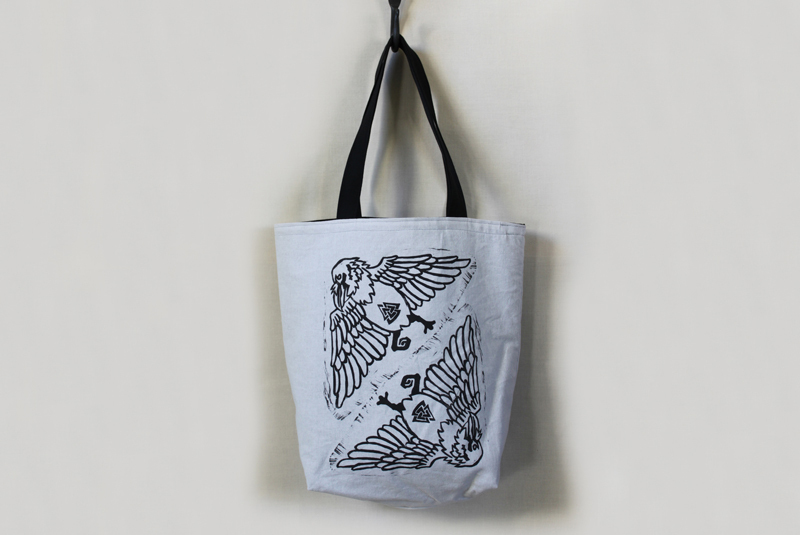 The tote bag is fully lined: the outside is a pale grey cotton material with black print on it; the inside lining and handles are of a black material. 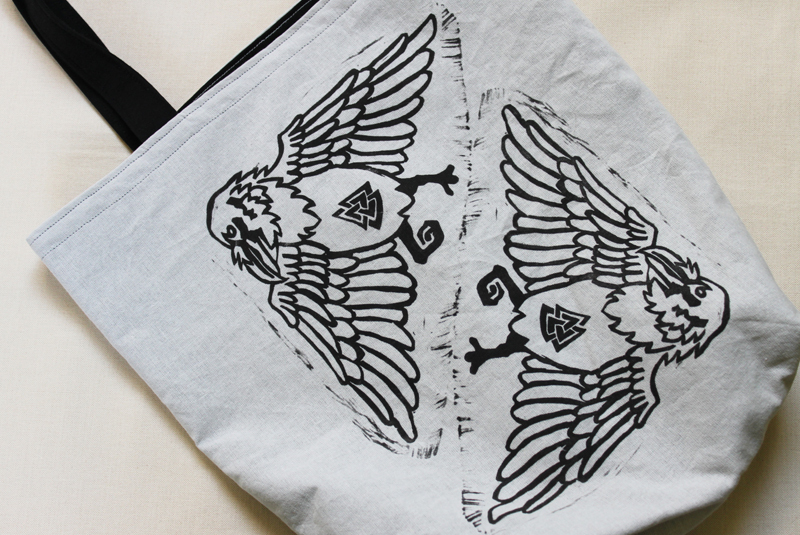 The ravens represent the two ravens of the Norse god Odin: Huginn and Muninn. They travel through the nine worlds every day to collect all of the news to tell Odin. Huginn represents thought and Muninn represents memory. 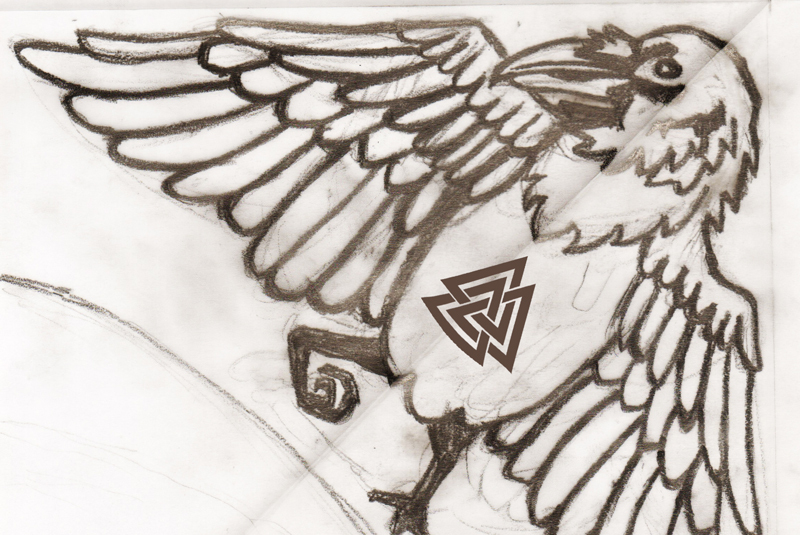 On their chests I have added the symbol Walknut/Valknut, which has been found on numerous ancient carvings, generally in association with Odin.